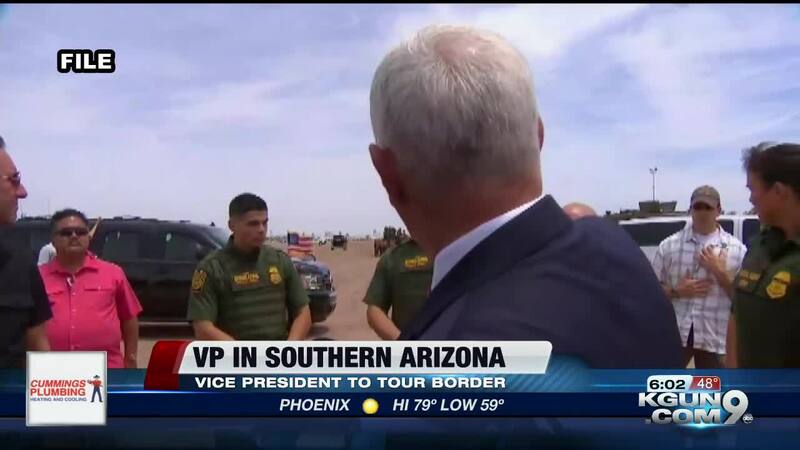 NOGALES, Ariz. (CNN) - Vice President Mike Pence plans to visit the US Border Patrol Station in Nogales, Ariz., on Thursday, where he will be briefed by Customs and Border Protection agents and tour the border wall, according to a White House official. "But that crisis on our southern border is driving drugs and crime and human trafficking here in the streets of Atlanta. You face it and you confront it every day. And you face it oftentimes without regard to your personal safety," Pence said. Earlier Tuesday, Trump denied reports that his administration is looking to resume the separation of parents and children at the border. Senior administration officials had told CNN's Jake Tapper that in the last four months or so, the President had been pushing then-Department of Homeland Security Secretary Kirstjen Nielsen to enforce a stricter and more widespread "zero-tolerance" immigration policy -- not just the original policy started by former Attorney General Jeff Sessions and undone by the President once it was criticized -- that called for the prosecution of individuals crossing the border illegally between ports of entry, resulting in the separation of parents from children.According to multiple sources, the President wanted families separated even if they came in at a legal port of entry and were legal asylum seekers. The President wanted families separated even if they were apprehended within the US. He thinks the separations work to deter migrants from coming. "He just wants to separate families," said a senior administration official.Trump repeatedly denied that was the case on Tuesday. "We're not looking to do that, no. We're not looking to do that," Trump said.But, he added, "when you don't do it, it brings a lot more people to the border. ""Now, I'll tell you something, once you don't have it, that's why you have many more people coming. They are coming like it's a picnic, like 'let's go to Disneyland,' " Trump said.